The Crucifixion and Resurrection of Jesus Christ section explains to you the salvation of the Lord Jesus’ crucifixion, the meaning of the Lord’s appearance to man after His resurrection and His will behind it. Many people believe that the Lord Jesus saying “It is finished” upon the cross is proof that God’s work of salvation is already completely finished. But why did God predict that there would be work of salvation in the future? 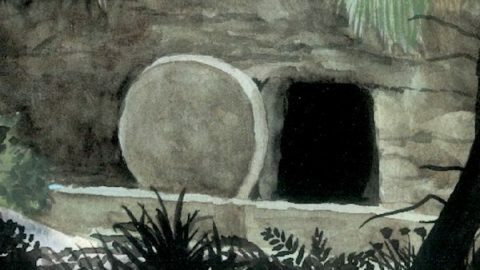 There is deep meaning behind the Lord Jesus appearing to His disciples many times after His resurrection. His appearance not only strengthened His disciples’ faith, but also laid a solid foundation for the further spreading of the gospel of Christ. Does “It Is Finished” Said by Jesus Mean Man Was Fully Saved? Jesus Christ said, “It is finished”(John 19:30). Only by understanding what it means can we know whether we are fully saved. God Is Almighty, but Why Did Jesus Redeem Us by Crucifixion? Some people think that God is almighty and He can redeem mankind with one word, but why did the Lord Jesus redeem mankind by the crucifixion?